Hi! 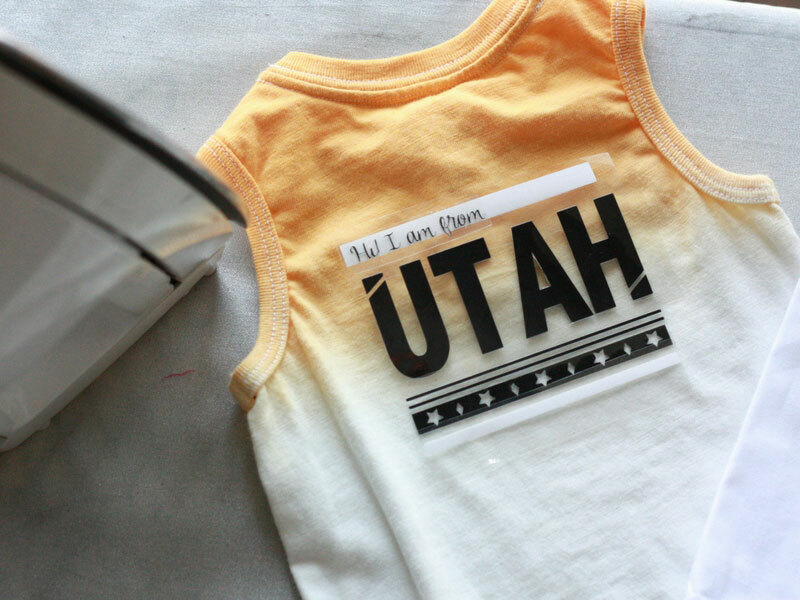 It’s Jenny from Everyday Jenny and I’m back to show you how easy it is to customize your baby’s clothes with the Cricut Explore Air 2 and Cricut Iron-on Lite. There are so many fun colors you can choose, and layering your iron-on also adds new possibilities. Not only can you do baby clothes, but you can personalize blankets, binky clips, headbands, stuffed animals and cloth shoes just to name a few. I created this fun baby shirt with a matching binky clip. 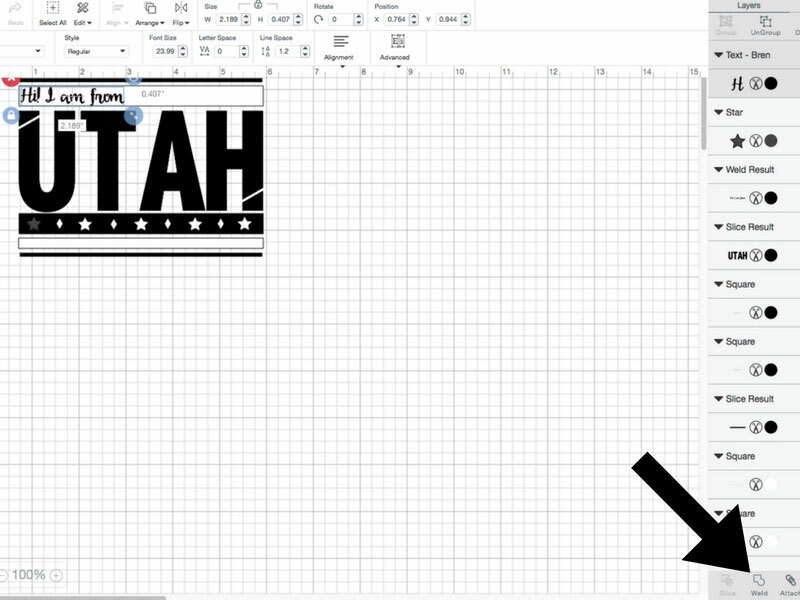 You can easily create your own state design in Design Space. 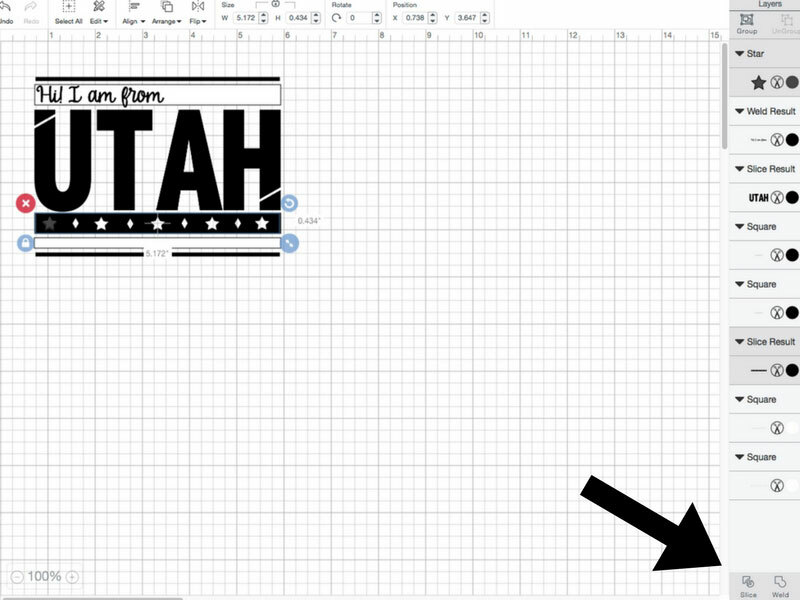 To create your own state design, insert text and write out your state name. 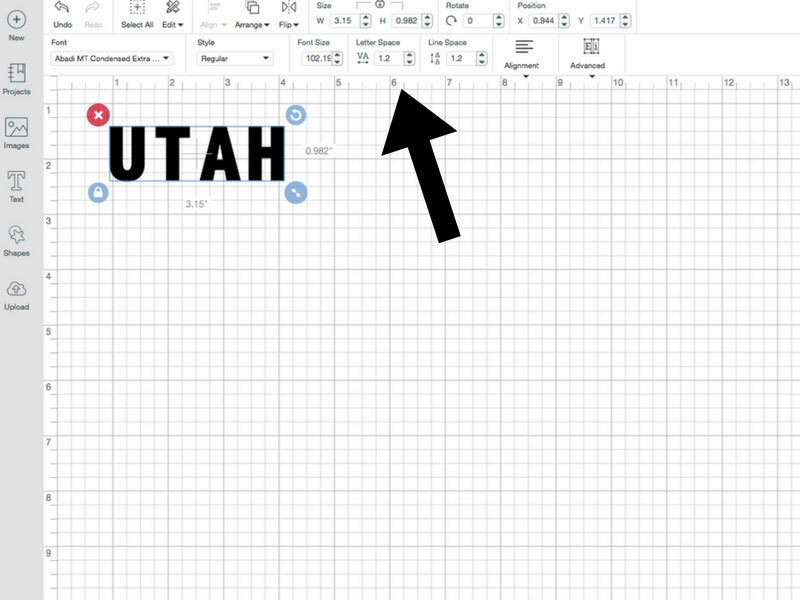 You can change the font to the one you like, and use the Letter Space tool to make your letters closer together. Select insert shapes and choose a square. Unlock the square in the corner and make it into a rectangle. Repeat until you have as many as you’d like for your design. You will also change your rectangle colors to the color of your Iron-on by clicking on the circle next to your layer and selecting the color. 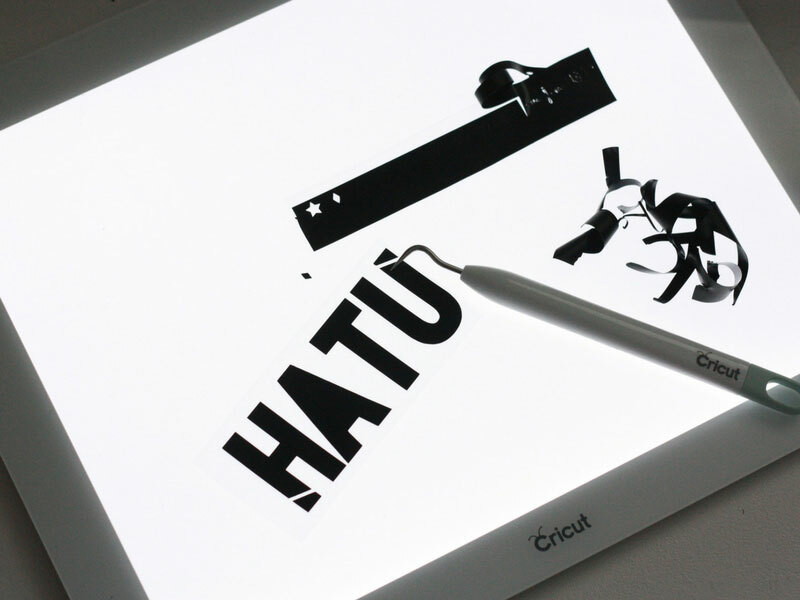 This will also sort your layers to the correct mat for cutting. To cut out the star shapes from your rectangle, insert a star and line it up on your rectangle. 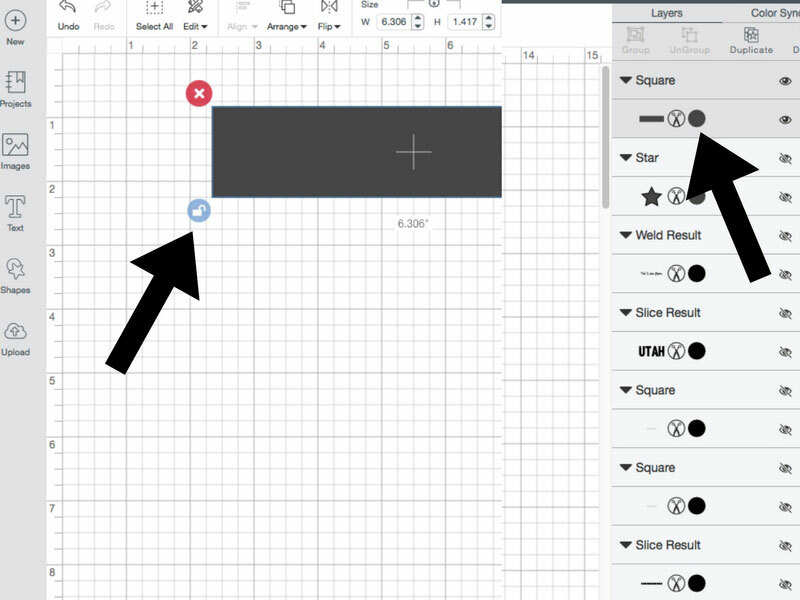 Select both the star and the rectangle and then use the Slice tool to cut out your star. Delete the extra pieces. Repeat as many times as you would like. Once you have finished your design, select "Make It". Select each mat and toggle the Mirror button to the on position (green). Select continue and set your smart dial to Iron-On. Load your mat and cut out each color. Using your weeding tool set, carefully weed out the excess material leaving only your design. The Cricut BrightPad makes your cut lines so much easier to see which makes weeding much faster. 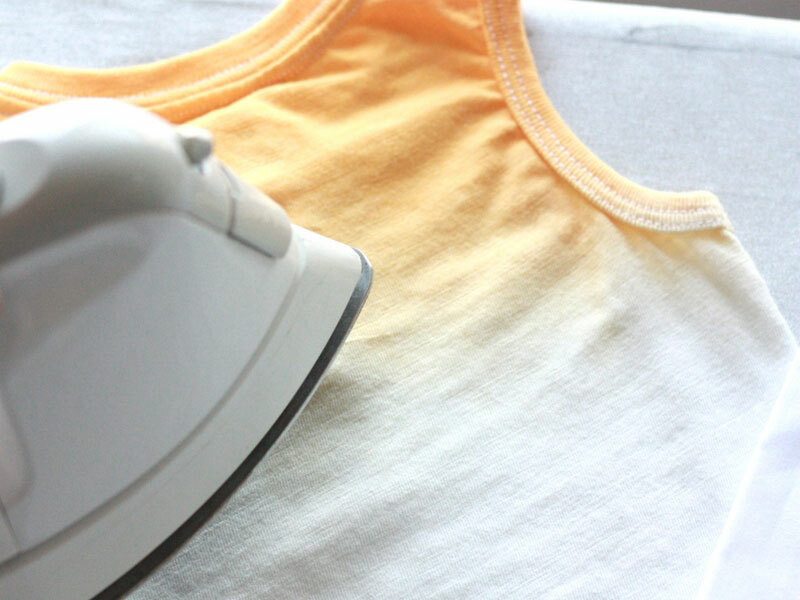 Heat up your iron to the correct Iron-on setting and lay your shirt on a flat surface. Warm up the shirt where you will be putting your design. Starting with your bottom piece, align your design on your shirt. Using a thin cloth, apply gentle pressure and press. Avoid moving the iron around and hold it in one spot for about 20-30 seconds. Test a corner and carefully pull back the plastic. If it lifts, iron again until you can remove it easily. Layer your next piece on top. Repeat this process until your design is finished. That’s it! 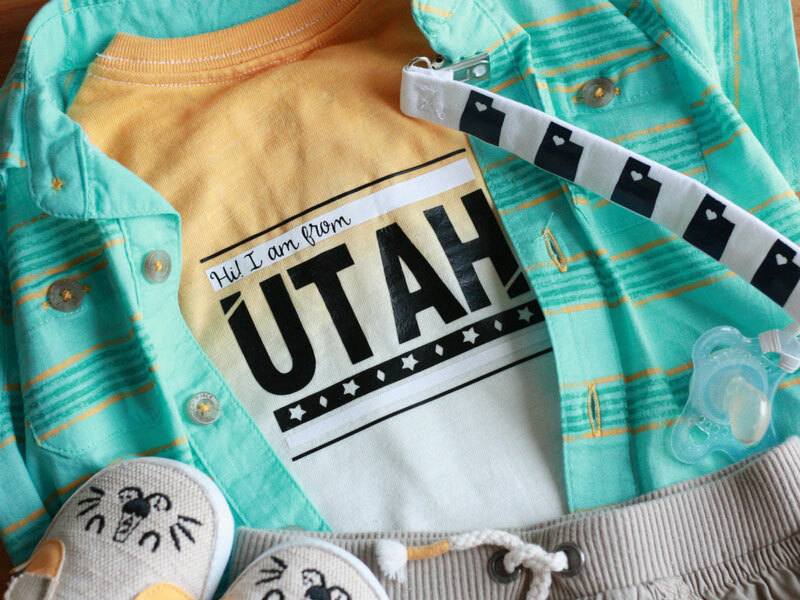 Now your baby can show off their state pride 😉 ! Which state will you choose? Let me know in the comments below. Check out our other baby projects in Design Space, including new Simplicity patterns for the Cricut Maker. 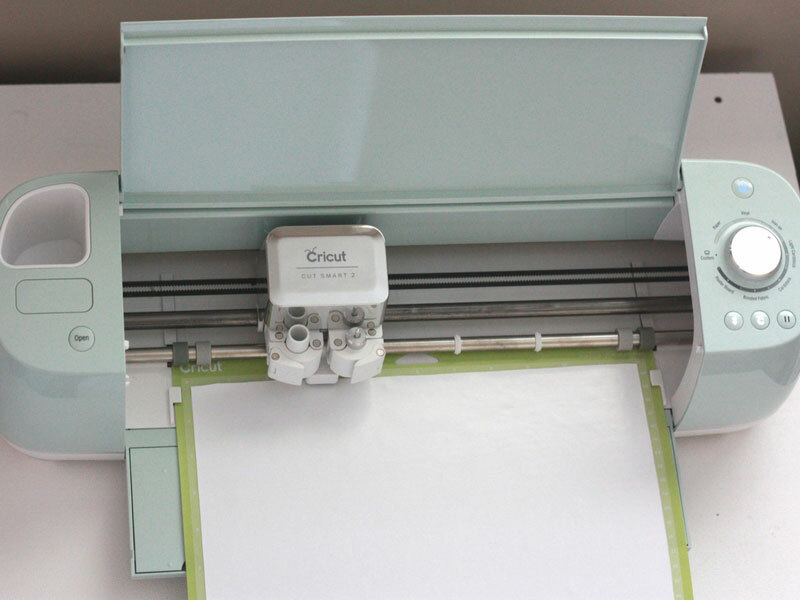 Organizing Your Life with Your Cricut Machine! Yes, if you can’t/don’t have time to hand wash, try turning them inside out and washing on a gentle cold cycle. Let line dry. Following this process will help it last longer. My shirt has a pocket. Can I just apply the HTV over the pocket like it’s not there? You could try it…however, there would be seams involved due to the pocket. When you place iron-on over it, it will naturally not adhere entirely due to those seams. This could lead to it lifting up over time.